Announcement Free shipping on greeting cards! Save 10% on five or more single greeting cards with the coupon code CARDLOVE at checkout! All work is copyright Wit & Whistle, LLC 2009–2017. Free shipping on greeting cards! Save 10% on five or more single greeting cards with the coupon code CARDLOVE at checkout! Love the witty design and the production quality. Arrived quickly in the mail and I can’t wait to wear it! An awesome buy! 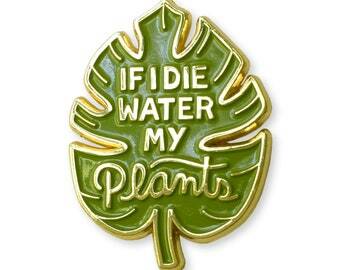 The pin is beautifully designed and made well. It arrived quickly too. Thank you! Bought this for a film set and I will definitely be coming back to this shop for future sets! Hello from Wit & Whistle! Illustrating my "Droplet" art print. I’m Amanda Wright—self-proclaimed design nerd, and the girl behind Wit & Whistle. My husband, daughter, and I live in Raleigh, North Carolina with two dogs, three chickens, and way too many house plants. Wit & Whistle offers witty greeting cards and whistle worthy paper goods—all designed and illustrated by me! I partner with a local printer to print my paper products. My hand-drawn designs are carefully reproduced, and I visit the print shop often to approve proofs and choose specialty papers. I carefully inspect and package each item. I work with a stamp engraving company to make my rubber stamps. They laser engrave my original designs in rubber and assemble the stamps. I inspect every stamp before sending it out, and I package each one myself in a hand-stamped muslin bag. I work with a screen printer to produce my tea towels. I send the printer my hand-drawn designs, and they carefully print my illustrations on flour sack towels. After the towels are printed I inspect, fold, and package each towel myself. Thanks for visiting Wit & Whistle! All designs and illustrations are my own original work, and all my products are printed on recycled paper. All designs are © Wit & Whistle and should not be reproduced. If there is a problem with your order or you aren't satisfied for any reason please let me know. I want to make sure you are happy with your Wit & Whistle purchase. Unused items may be returned within 30 days of receipt for a refund (excluding shipping charges). Return shipping costs are the buyer’s responsibility and are non-refundable. Wit & Whistle accepts payment via credit card or PayPal. Trades are not accepted. North Carolina purchases are subject to a 6.75% sales tax. Once shipped, packages sent within the USA will arrive within 7 days. You will receive an email with your USPS tracking number once your order has shipped. If you ordered 1 or 2 greeting cards with free shipping your shipment will not include a tracking number. Wit & Whistle will not be responsible for additional shipping charges incurred if packages are returned due to an incorrect shipping address provided by the customer. Wit & Whistle no longer offers international shipping through Etsy. Wit & Whistle is a one woman operation and cannot accept custom orders or customize existing products. Sorry about that! Wit & Whistle products are not available as digital downloads. Wit & Whistle rubber stamps are copyrighted. There are no limitations on personal use. Commercial use (on products you plan to sell) is permitted, but is limited to 100 hand-stamped impressions per stamp, and a line of credit to Wit & Whistle should be included where possible. To fulfill your order, you must provide Wit & Whistle with certain information (which you authorized Etsy to provide to Wit & Whistle), such as your name, email address, postal address, payment information, and the details of the product that you’re ordering. You may also choose to provide Wit & Whistle with additional personal information if you contact us directly. • Service providers. Wit & Whistle engages certain trusted third parties to perform functions and provide services to our shop, such as delivery companies. We will share your personal information with these third parties, but only to the extent necessary to perform these services. • Business transfers. If Wit & Whistle sells or merges our business, we may disclose your information as part of that transaction, only to the extent permitted by law. Wit & Whistle is based in the US, therefore we store and process your information through third-party hosting services in the US and other jurisdictions. As a result, we transfer your personal information to a jurisdiction with different data protection and government surveillance laws than your jurisdiction. • Change, restrict, delete. You may also have rights to change, restrict our use of, or delete your personal information. Absent exceptional circumstances (like where Wit & Whistle is required to store data for legal reasons) we will generally delete your personal information upon request. • Complain. If you reside in the EU and wish to raise a concern about Wit & Whistle’s use of your information (and without prejudice to any other rights you may have), you have the right to do so with your local data protection authority.